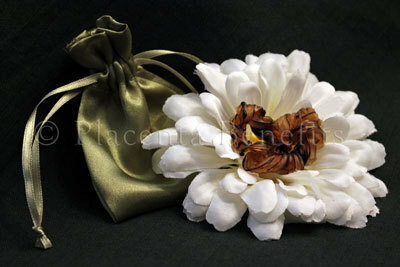 Beautiful rich satin fabric pouches, in the perfect size to cradle a dried umbilical cord as a keepsake. A rich moss green color, these pouches are certain to make every mama happy. Full size: 3x4 inches, flat satin pouch. Inside: Measures one inch less on the inside, as the outer measurements are taken from above the drawstring.